Back to School for teachers! On 3 Sep, 2015 By Tilly With Comments Off on Back to School for teachers! Ahhh, the crisp Autumn air, new shiny shoes and fresh new school books (or is it an ipad these days?) We all remember returning to school as children after the seemingly endless summer holidays with mixed emotions. Joy at catching up with all our friends again but sadness that sunshine, late nights and freedom are over for another year. But what is it like starting the new school year as a teacher? How do you start as you mean to go on? We spoke to some top teachers who shared their tips with us! @chrishildrew Is Deputy Head and Media and English teacher at Chew Valley School. He suggests that as a teacher you learn the behaviour policy and follow it – and always ask if you’re not sure of anything! @mindfulpedagogy Is a primary school teacher. With a passion for meditation & mindfulness approach to teaching & learning for children. For him a good start to the year is simple! Have a cup of tea to yourself before school & directly after school. 10mins. Do not try & multi-task. Just enjoy it. You deserve it. Only ever meet parents after your tea! Distance between the ‘school day’ and ‘after school’ is so important! 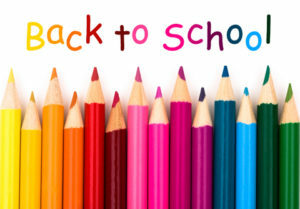 So, follow a few of these top tips and you’ll be starting the school year with a bang! Now, for that all important cup of tea…. If you have any more tips to add please tweet us!